The year rolls round to its end once again, and once again we are celebrating the birthday of Jane Austen. It is our tradition to write about what we would give Jane Austen for her birthday, but we don’t think we could top two pretty amazing things given to her by the world. First of all, her face (or an approximation of it that we have all accepted, more or less) on Bank of England legal tender! Not only the ten-pound bill as shown above (not our note, but the owner let us photograph it), but also a two-pound coin. The delicious irony of this author who wrote about the struggle of those who could not, by social custom, earn a living but nonetheless had to find a way to get the money they needed to get by, being celebrated on money is not lost to us, but on this day of all days, let us not miss the forest for the trees. If there is a way to note that a person is accepted by the powers that be, it’s by putting their face on money. The other thing is fairly recent but we also think pretty cool: Jane Austen’s face (yes, yes, the approximation, forest and trees and public domain, Gentle Readers) is going to be on–wait for it–an airplane. Norwegian is going to use Jane Austen’s image as livery for one of its planes! Seriously, how cool is this? (Admittedly, not as cool as the money, but still pretty cool.) 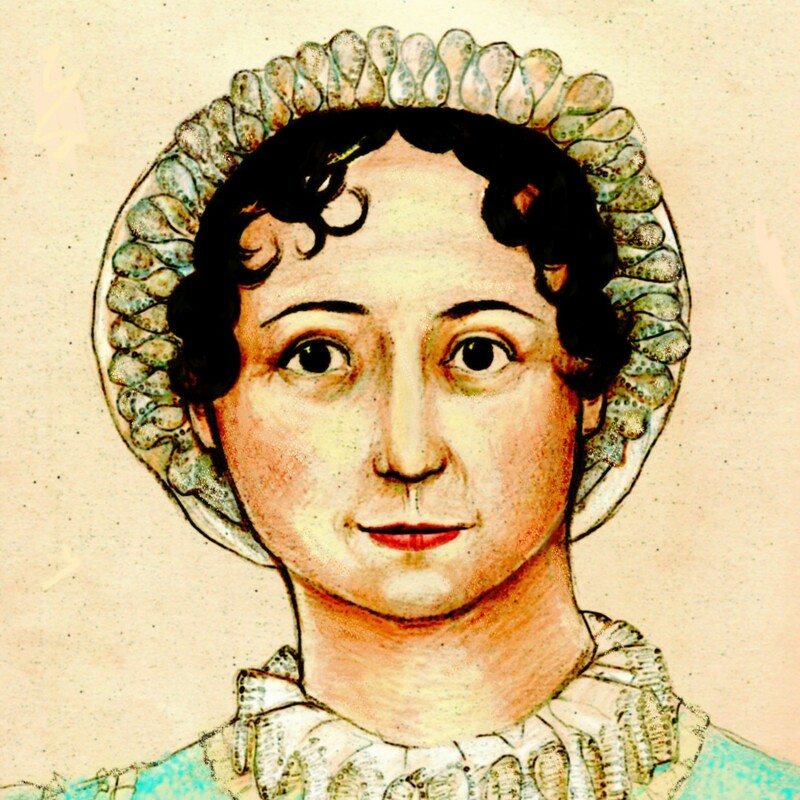 Again with the irony, as we probably all know by now, just from reading her novels, how difficult, time-consuming, and expensive it was to travel in Jane Austen’s time, even just 100 miles from home. Now we can wing across the Atlantic in a few hours on a Dreamliner 787 with Jane Austen’s face on it. What a fascinating modern world we live in. I still think they should have put, “I write only for fame, without any view to pecuniary emolument” on the money. I wanted that, too, but I’m not sure that the Great Unwashed would have understood the irony. It would have been fantastic, though. I love seeing Persuasion get such great attention. Happy birthday, dearest Jane! Lovely cake! I’ve got the 10-pound note and the 2-pound coin, through the machinations of kind Janeite friends. And I can’t stop thinking of the many years in JA’s life when an extra 12 pounds would have made a significant difference to her discretionary spending. I hope that JA, with her well-honed sense of irony, is up in literary Valhalla savoring it all.